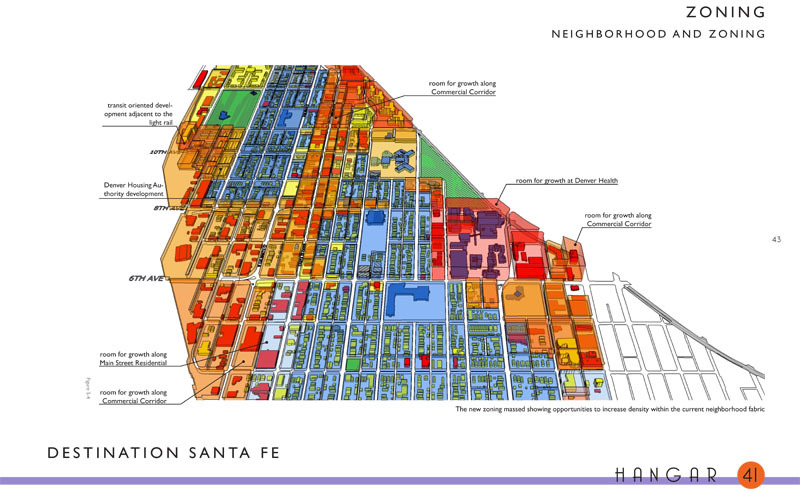 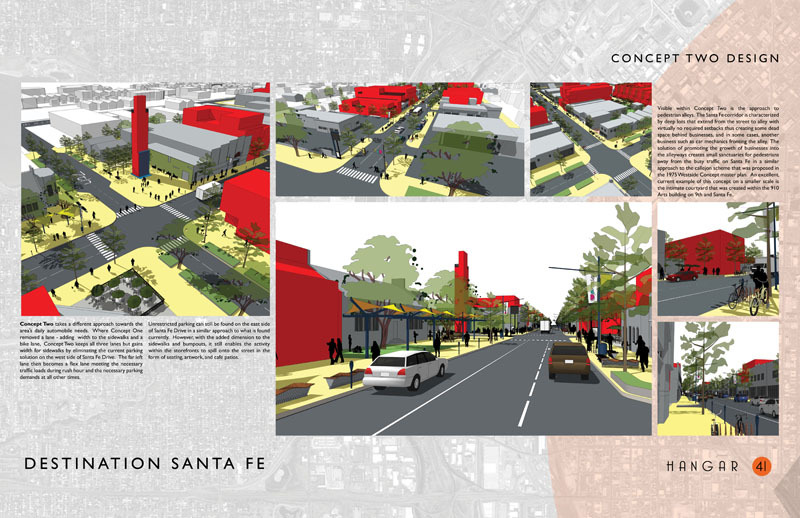 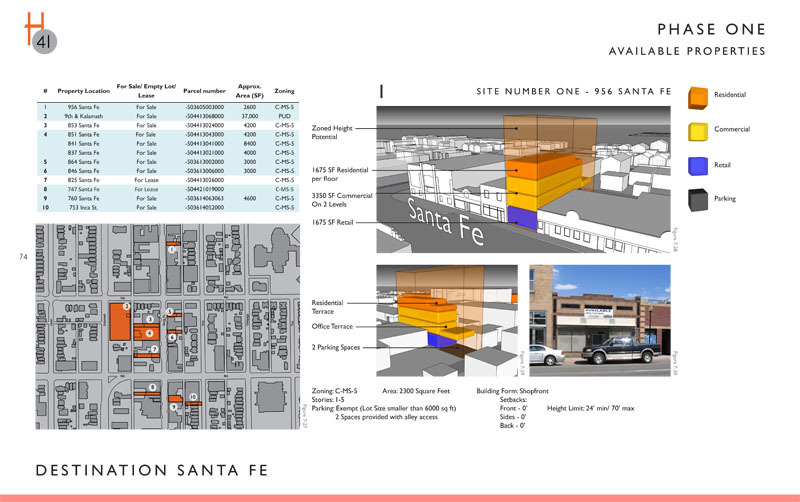 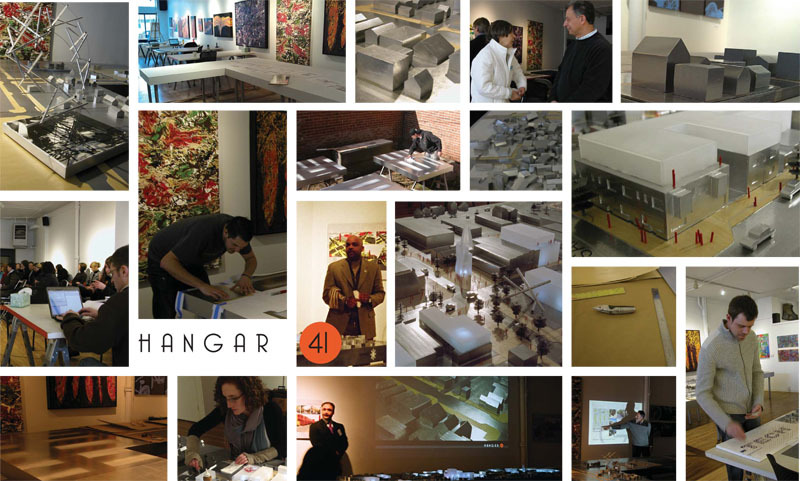 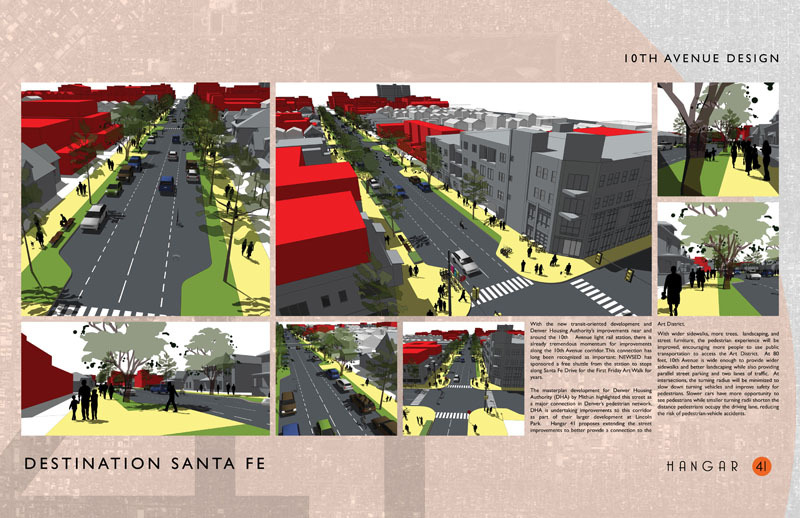 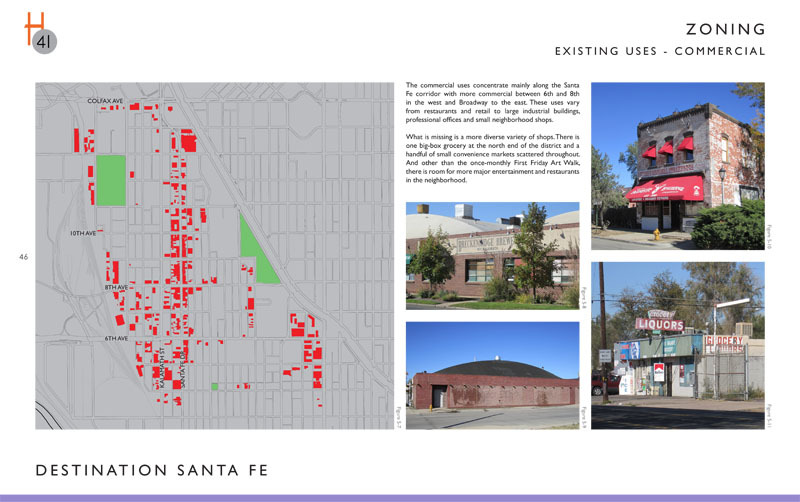 Building upon the City of Denver’s La Alma/Lincoln Park neighborhood plan, Hangar 41 initiated a visioning plan for the Art District on Santa Fe including wider, more pedestrian friendly sidewalks along Santa Fe Drive, as well as proposals for the taming of traffic, greater density and better landscaping and hardscapes. 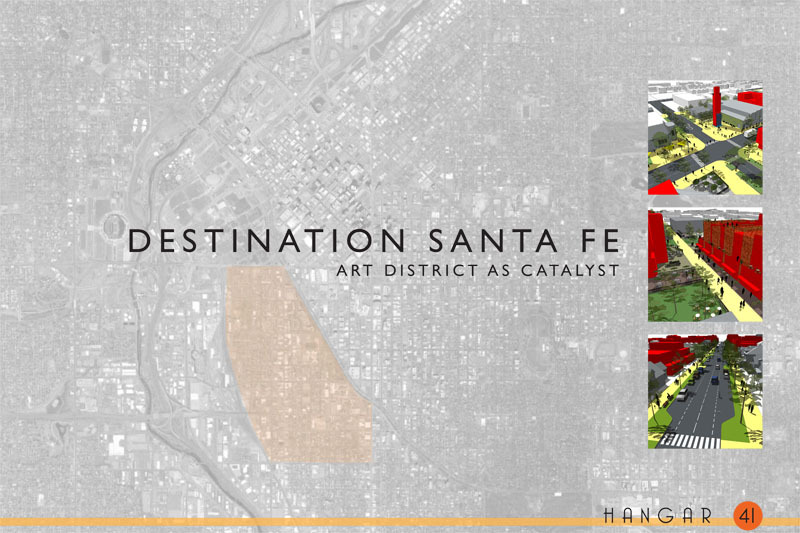 Our vision for the neighborhood looks at creatively rebranding the Art District including an “Art Library”, the creation of a civic center with “Art Tower”, reutilization of the alley ways, and a creative light rail station connected to the Art District via a tree lined boulevard. 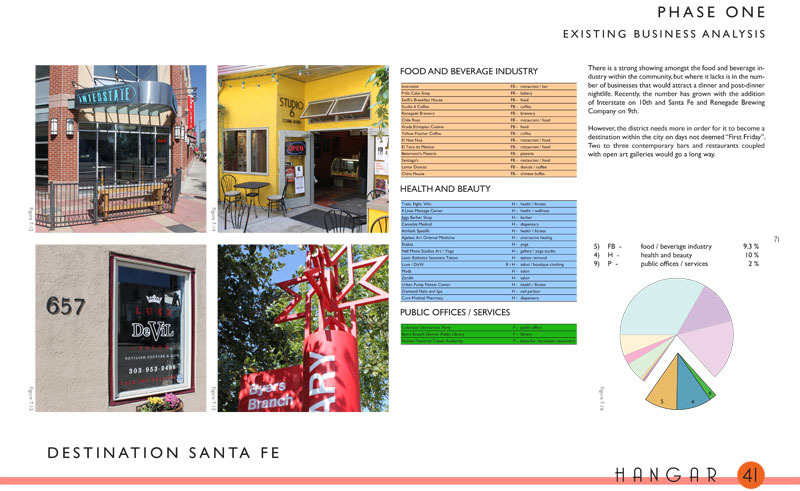 Throughout this process we included community outreach as a way to create consensus within the neighborhood as a catalyst for change and are now working with local government entities and funding sources to achieve this vision. 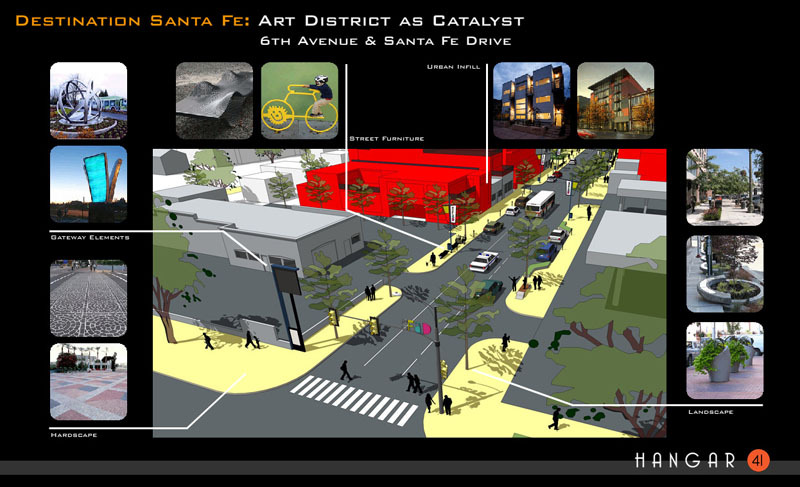 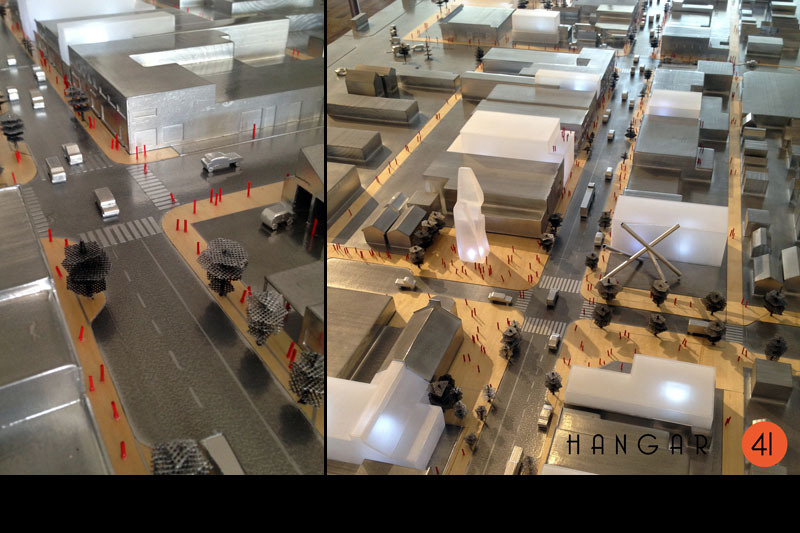 A major milestone for the project occurred when presenting the project to the public. 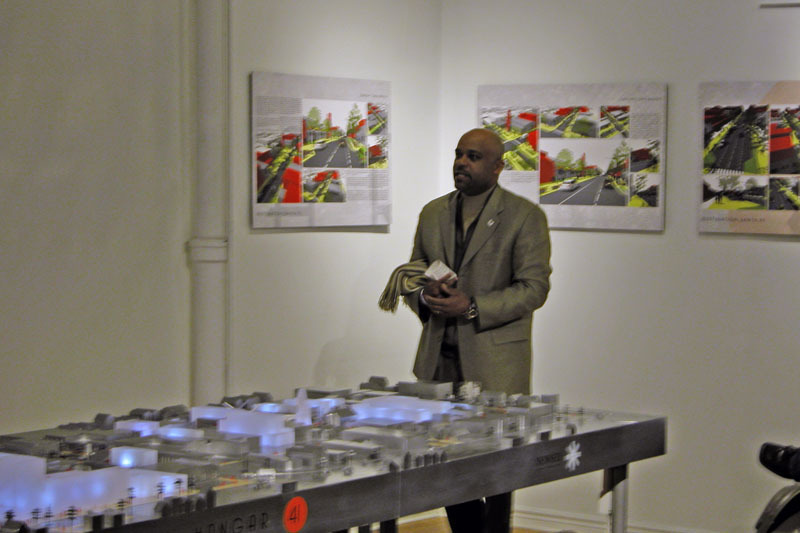 The event featured several speakers from the community - including Denver Mayor Michael Hancock.